For my study of watermarks I wanted to create surface that are commonly found on museum objects. Recent improvement in the method of analyzing Asian lacquer using pyrolysis-gas chromatography/mass spectrometry (Py-GC/MS) has yielded very interesting results. The materials of Asian lacquer coatings are far more complex that previously understood. 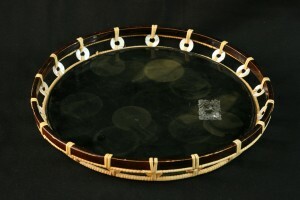 Not only are lacquer object made with urushiol but many are based on laccol. In addition other materials such as tung oil, perilla oil and cedar oil are commonly found. This new information makes my job of imitating the surface more difficult. I would love to study all the variations but I had to limit the number of variations and streamline the process. The procedure I have decided to follow is a simplified version of the methods I was taught in Japan about 20 years ago. The processes I will be using are more or less the same but the number of layers vastly reduced. As I will be making over 50 boards in total I do not have time to apply all the layers that would be found in a high quality piece of Japanese lacquerware. In addition, the watermarks I wish to study usually only involve the surface layers. I will be making six boards of each type of lacquer I wish to study. Originally I had hoped to keep it to three sets but I think the different Asian lacquers and additional ingredients have a bearing on aging characteristic and the susceptibility to watermarks. My current plan is to make the following sets of boards: Chinese transparent urushi processed in Japan, black Chinese urushi processed in Japan, black Japanese urushi, Taiwan transparent laccol lacquer, Taiwan black laccol lacquer, laccol lacquer with cedar oil and tung oil, Black laccol lacquer with cedar oil and tung oil and finally black Vietnamese lacquer. I will give more information on why I have chosen these and their differences. If I have time I will also make one set of iron oxide red boards and another set with cinnabar, both made with Chinese urushi. I would also like to make two with different ground layers, one to represent high quality Japanese lacquer that has cloth applied and multiple urushi ground layers and a second set to represent Chinese export lacquer with a glue and oil based ground. This might be too much, we’ll see how it goes. I have chosen to make the boards using 5ply birch plywood made in Finland. 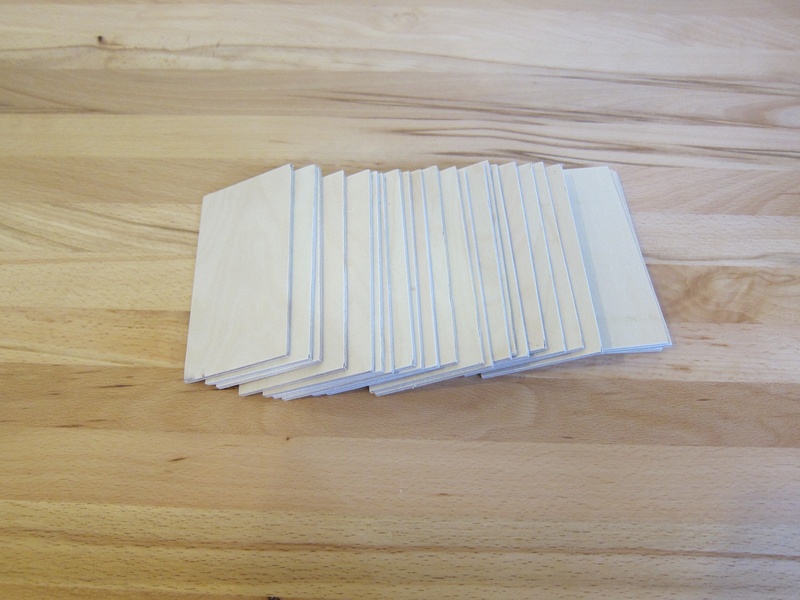 This plywood is only 3mm thick so that it is both light weight and dimensionally stable. The samples will be exposed to varying humidity cycle during artificial aging so I prefer a substrate that will not warp. The plywood comes in sheet 25inches by 25 inches. I cut the boards on a table saw to a size of 6cmx14cm to fit in the weatherometer. 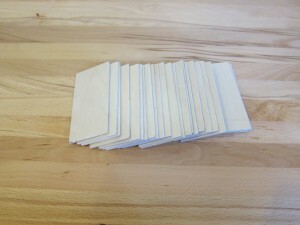 The sample boards that may turn out to be thicker than 4mm are required to be shorter and were cut to 6X12cm. This size turns out to also be very convenient size to work with. 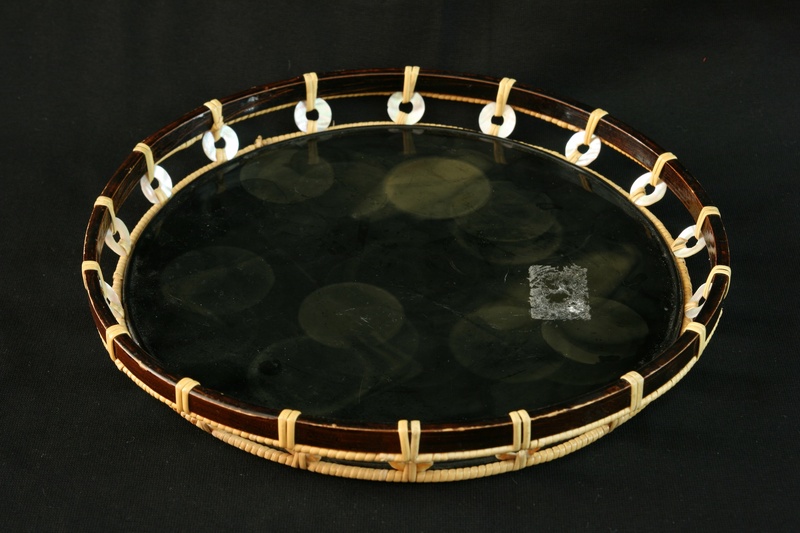 I can fit a total of 36 boards on my furo at once but I doubt I will have that many drying on any one day. For the next post I will actually get the urushi out.